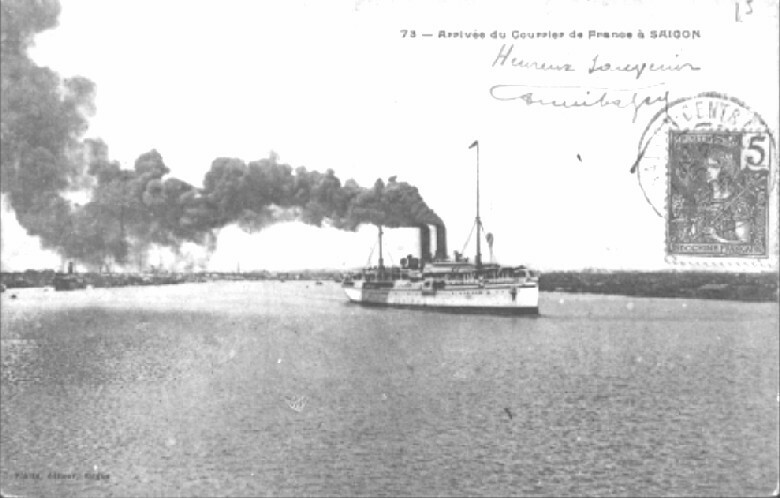 "...foreign ports with enchanting names, Port Said, the Suez Canal, Djibouti, Colombo, Singapore… cities and coasts that smell of adventure and spices. There is also the mystery of the vessel; the holds and the hull, the labyrinth of waxed passageways and wood-panelled salons. Above all, there is life on-board, with its beautiful female passengers, whose sophistication is heightened by the journey. There are unforgettable images of elegance and freedom, in which people dance, flirt, and smoke in a hubbub of music, voices, and noise, from which the heady aroma of cigarettes and fragrances arise in concentric waves." Volutes comes in two concentrations: EDT and EDP (Diptyque seems to have listened to many of us and is now also releasing the old favorites in an EDP). The EDT, which is what I'm reviewing here, has that evanescent quality of an old memory. It's lighter and more sheer, while the EDP has an actual bite and a thicker base. So, yes, I've been spraying Volutes EDT with a reckless abandon to get the full effect, but I'm not complaining. This thing is right up my alley with equal amounts of spice, smoke and sweetness. The first thing I smell in Volutes is sweet tobacco and spiced wood. I can picture old and beautiful steamer trunks full of exquisite coats and dresses, scented with perfumes and sachets of spice. There's something almost Lutensian in the oriental arabesques that wafts here: the dried fruits and aromas of the local markets, saffron and myrrh steeped in honey, a touch of leather and tobacco-- it's all here. But Volutes is not Chergui or Arabie. It's not about any of these things and it doesn't try to immerse you in the exotic locations. I fully get the idea of a golden memory of faraway places and the passage of time. The wafts of smoke are almost mystical. You can gaze through them and see pictures of a world long gone. One of the most attractive facets of Volutes is that the sweetness is very delicate. Diptyque didn't create an immortelle-honey bomb (not that I'd object, but there's something to be said for restraint), so it doesn't choke you with any of the notes elements, including the heaviest ones. It's kind of an oriental perfume but done in a very modern way, for better and for worse. By "for worse" I mean that as a die-hard Lutens fan I want the bigger and richer experience, something more tactile and tangible. I really like Volutes' dream world and I want to be able to really step into it. I want it to materialize in front of me, but the fragrance always remains just a little of reach. Notes: iris flower, honey, tobacco, dried fruits, pink pepper, black pepper, saffron, hay, immortelle, opoponax, myrhh, styrax and benzoin. Volutes by Diptyque ($62, 1.7oz EDT and also $140 for 2.5 fl. oz EDP) is available from the many retailers who stock Diptyque products (Bigelow Chemist, Space NK, Luckyscent, Nordstrom, Barneys, and of course, Diptyque stores around the world). A press sample for this review was provided by PR. 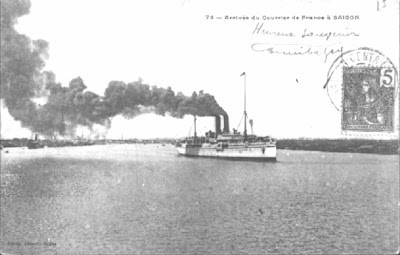 Top photo: A Compagnie des Messageries Maritimes liner arrives to Saigon from Marseilles via messageries-maritimes.org. Other images from Volutes press release courtesy of Diptyque. What interests me about this fragrance is that to my nose it is almost identical to Juliette Has a Gun's Calamity J. The only difference is that the latter lacks Volutes' notes of damp tobacco leaves: for that reason, I prefer Volutes. It is also better value and comes in a much nicer bottle.